I recently posted on the plight of the polar bear by relating my conversation with Canadian scientist and polar bear expert Nick Lunn. As Nick explained, the polar bear is the “poster child of climate change”, but represents an entire ecosystem. One that is “rapidly melting away” says Shay Wolf, a biologist for the Center for Biological Diversity. While the status of the polar bear remains undecided, government agencies may also be dragging their feet on determination of yet another endangered arctic species – the ribbon seal. The center announced on March 21st its intentions on suing the National Marine Fisheries Service for missing a it’s 90 day deadline for issuing an “initial determination” in response to a scientific petition filed by the center on behalf of the ribbon seal last December. A positive finding is the first step in initiating a “full status review”. 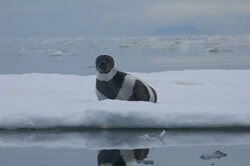 Ribbon seals depend on the sea-ice for rearing their young. The reduction and thinning of pack ice leads to increased pup mortality. Given current trends of carbon emissions and diminishing ice, the ribbon seal faces likely extinction by the end of the century. The National Marine and Fisheries Service had posted a press release on March 13th stating its intention to study ice seals (including the bearded, spotted, and ring seals) for listing under the Endangered Species Act – a link to a page that was quickly and quietly removed. 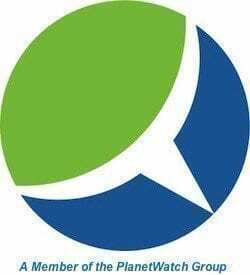 When pressed by the Center for Biological Diversity about the press release and why an official determination has yet to be issued, a spokesman for the Marine Fisheries Service said the press release was posted in error and could not say when a finding would be released. Another thing Nick explained to me was that the last thing the U.S. government wanted to do was to list anything living in the arctic – be it the polar bear, walrus, or ribbon seal – as endangered. Doing so is to acknowledge the state of not just the species singled out as endangered, but the entire ecosystem. And yet it is an entire ecosystem that is endangered. Are we willing to sacrifice an entire ecosystem for another few years of a fossil fuel economy that isn’t sustainable for more than a few more decades at best? The question for us is how long we can allow politics to dictate policy. In the case of the arctic, we don’t have much time before the question is moot. this site is one of the coolest sites that i really need for my report thank you!! !